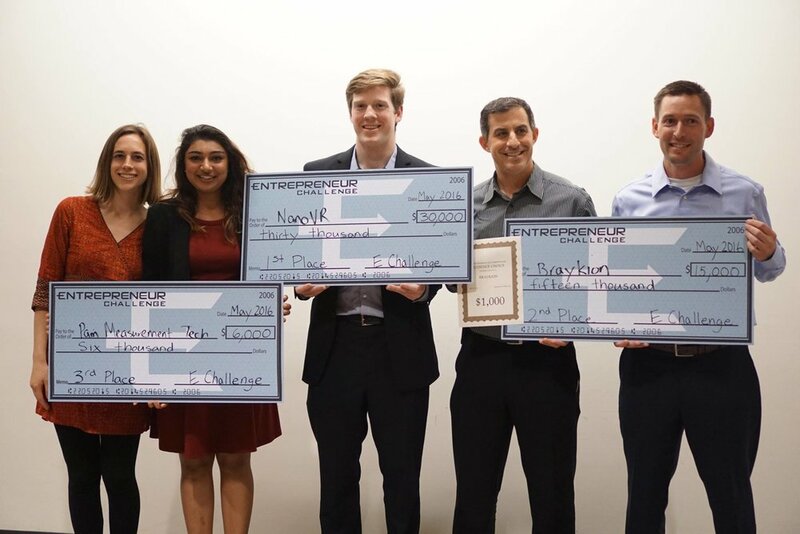 The Entrepreneur Challenge is designed to foster community involvement and technological innovation by bringing multi-disciplinary teams of engineers, scientists, and business-minded students together with local area entrepreneurs and professionals in order that they might shape the world of tomorrow by securing the health of San Diego’s economy today. We are positioned as the premiere student run business plan competition on the west coast because we are centralized in a nation-leading technology hub . This innovation is supported by a vibrant entrepreneurial community, which consistently provides the Entrepreneur Challenge with first class competitors. The Entrepreneur Challenge is a fully integrated entrepreneurial development program. Our goal is to provide aspiring student entrepreneurs with the necessary tools and resources to both think logically and act practically to commercialize ideas. Our year-long educational program consists of engaging talks from the best and brightest entrepreneurs, professionals, and investors. In addition to this program, we connect students with the professional services they need to succeed such as intellectual law firms, angel and venture investors, and a broad spectrum of successful business people in the community. Our flagship events include our annual elevator pitch competition as well as the largest business plan competition in the San Diego Community. These competitions award the best companies turning them into successful businesses. This Challenges Student Entrepreneurs to Dream, Experiment, Iterate, and Persist.